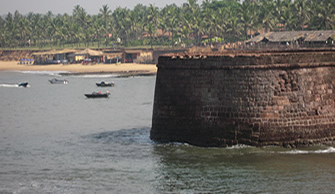 Goa is known for its unique culture and traditions which is in reality a blend of the East & the West. Goa has formed and retained its own culture which is much influenced by firstly being Indian but has also incorporated much of the portugese traditions during their 450 year rule over Goa. Entertainment is synonomous with the identity of being a goan, for long has it come to be understood that if one wants to party you have got to find a little beautiful state of Goa where entertainment is a way of life. One need not build castles in thin air but in the sands on the beautiful beaches of Goa, with clear skies and many opportunities to frolic in the sands. Who can resist the tempting beats creating by the waves hitting the shore and thus beckoning you to splash around and have the time of your life and memories that cannot be erased for their are to be engraved in your mind forever.